The way we purchase health care is unlike most other purchases we make. Many of us will hunt for a coupon that saves us 50 cents at the local supermarket, however, when it comes to health care—a far more complex and expensive service—we rarely ask questions or consider all the options that could save us time and money. Reducing your premium is not the only way to save. We’ve rounded up the top 25 ways to save on your health care costs in 2015 that you probably didn’t know. Ask your doctor, hospital or dentist if they will accept less. Studies show that the majority of individuals who bargain succeed. 2. Know how much it costs. You will be better armed to negotiate discounts when you know the real costs of care. You can find rates on the websites of large carriers like UHC, Cigna and Aetna. You can routinely save up to 10 percent on your bill by paying in cash up front, and often much more than that. Doctors lose thousands of dollars every year on credit card processing fees, unpaid bills and collection fees. 4. Look at your bill closely. You will often find mistakes. Keep track of your visits, tests and medications, and compare them against your bills. Request a corrected bill if you find an error and notify your insurance carrier. Follow your health care provider’s instructions for medications. Most medications work most effectively when they are used according to your doctor’s instructions. Ignoring instructions could result in additional prescription costs, extra trips to the doctor or even hospitalization. 6. Visit a retail health clinic. Retail health clinics are growing in number. They are popping up in high-traffic retail outlets in metropolitan areas around the country. While these clinics lack the personal nature of seeing a family physician who knows your complete medical history, they offer convenience and low prices. Your medical costs can increase greatly when you visit a provider who is not in your plan’s network. Make sure your primary care doctor and any specialists you may need to see are in your network whenever possible. 8. It doesn’t hurt to ask. If you must see a specialist who isn’t within your network, call your insurance carrier’s pre-certification department and explain why you must use an out-of-network specialist. You can often get your insurance carrier to agree to pay in-network rates in order to avoid the expensive appeal process. If that doesn’t work, ask your specialist to accept the in-network rate. 9. Understand what treatment your plan covers. Are you paying for chiropractic care, massage therapy or acupuncture? Check your insurance carrier’s website or call their customer service line to make sure you aren’t needlessly paying for health care that is covered by your insurance. 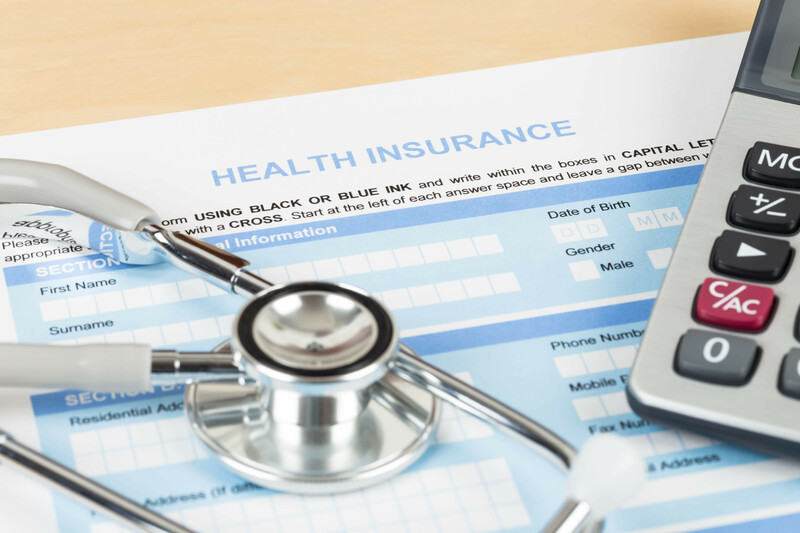 Despite its costs and limitations, health insurance offers you significant discounts on most health care services, as well as protection from astronomical health costs, should you or a dependent suffer a major health event. If you lose your employer-based health insurance, understand your options for retaining health coverage. First, you may be able to extend your current policy through COBRA, which allows you to keep your current coverage for up to 18 months by taking over the employer’s portion of the premiums. Secondly, you may become eligible to enroll in an individual health plan through the Marketplace as part of the Affordable Care Act (ACA), which carries the possibility of several discounts depending on your income. If your claim has been denied, start with a phone call to customer service. If that doesn’t work, follow your plan’s appeal process. Remember to document everything and keep copies. 12. Choose your health plan wisely. Choosing the plan with the lowest premiums or sticking with the same plan year to year may not be the smartest option. Anticipate your family’s medical expenses and look closely at each plan option to find the most appropriate and cost-effective one for you. Health Savings Accounts (HSAs) are growing in popularity. They are combined with a high-deductible health plan. The high deductible policy protects you from the cost of a catastrophic illness or prolonged hospitalization. You control the savings account and use it for small and routine health care expenses. Although you own and manage the account, employers will often make contributions to HSAs as well. Funds you don’t use grow tax-free and can be rolled over from year to year. For 2015, you can contribute up to $3,350 for an individual account and up to $6,650 if you’re insured under a family plan. If you’re 55 or older, your contribution levels rise by an additional $1,000. 14. Take advantage of flexible spending accounts. A flexible spending account, or FSA, is an employee benefit program that allows you to set aside money on a pretax basis for certain health care and dependent care expenses. That means you keep more of your money. Your employer may also contribute to your FSA account. The maximum total FSA contribution for 2014 is $2,500. 15. Don’t skimp on preventive care. Be sure your child gets routine checkups and vaccines as needed, both of which can prevent medical problems (and bills) down the road. Also, adults should get the preventive screenings recommended for their age in order to detect health conditions early. 16. Look for free services. Look for free health screenings and vaccinations in your area. With a little research, you could find free or reduced-price flu shots, Pap smears, prostate exams, cholesterol screenings and more. 17. Visit a dental school. Look into local dental schools where you will be treated by dental students who perform the dental treatment while closely supervised by their instructors. Expect to pay about 20 to 60 percent of what you’d pay for the same treatment by a private dentist. Check this list from the American Dental Association to see if there’s one near you. 18. Don’t forget to floss. Studies have demonstrated that those who floss regularly have a decrease in bad breath, cavity incidence and the risk for periodontal disease. The cost of periodontal disease treatment can range in the thousands of dollars depending on the severity of the conditions. Discount websites and stores can provide the contact lenses prescribed by your eye doctor, in factory-sealed packaging, at a cost that is up to 70 percent off what you would pay at the retail level. According to WebMD, up to 90 percent of doctor visits are for stress-related conditions. Studies show that relaxation techniques are effective in controlling anxiety, enhancing the immune system and reducing conditions such as high blood pressure, substance abuse and chronic pain. Under the ACA, health insurers are allowed to charge smokers 50 percent higher premiums than nonsmokers for new polices sold to individuals and smaller employer groups. Plus, if you quit smoking you can expect to save approximately $2,000 a year on the cost of cigarettes alone. 22. Live a healthy lifestyle. Focus on eating nutritiously, cutting down on fast food and getting more physical exercise. Striving toward a healthier lifestyle and maintaining a healthy weight can drastically reduce future medical conditions and diseases. According to the Centers for Disease Control and Prevention, hand hygiene is the most important factor in preventing the spread of germs. In fact, health experts estimate that 80 percent of common infections are spread through hand contact. Save hundreds of dollars a year on cold and flu treatments. 24. Get a second opinion. Save thousands of dollars a year on cutting-edge medical tests, which usually are not covered by insurance, by following the guidelines recommended by the U.S. Preventive Services Task Force. You can find these guidelines at www.ahrq.gov/clinic/uspstfix.htm. 25. Think twice about the emergency room. Don’t ever go to the emergency room (ER) when your regular doctor or an urgent care visit would suffice. If you or your child is feeling ill on Friday, get into the doctor that day to avoid overpaying at the ER during the weekend. Share this post with your friends and family and help them keep more of their hard-earned money in their own pockets this year. I mean, you could throw your money away if you want, but I know I’d rather use that extra income for a vacation or to pay down some debt. With just a little effort, you can save thousands of dollars on your medical bills. Know any other good ways to save on the costs of health care? Leave them in the comments below.